The bark of white willow contains salicin, which is a chemical similar to aspirin (acetylsalicylic acid). In combination with the herb’s powerful anti-inflammatory plant compounds (called flavonoids), salicin is thought to be responsible for the pain-relieving and anti-inflammatory effects of the herb. In fact, in the 1800s, salicin was used to develop aspirin. White willow appears to bring pain relief more slowly than aspirin, but its effects last longer. Once you have successfully detoxified your body, headaches will be virtually non-existent and migraine will no longer bother you. Since writing this article, even more evidence has accumulated indicating that aspirin’s risks outweigh its benefits. Most notably, a 15-year Dutch study published in the journal Heart found that among 27,939 healthy female health professionals (average age 54) randomized to receive either 100 mg of aspirin every day or a placebo the risk of gastrointestinal bleeding outweighed the benefit of the intervention for colorectal cancer and cardiovascular disease prevention in those under 65 years of age. Use your brain, not drugs! Phone makers own scientists discover that bedtime use can lead to headaches, confusion and depressionRadiation from mobile phones delays and reduces sleep, and causes headaches and confusion, according to a new study. 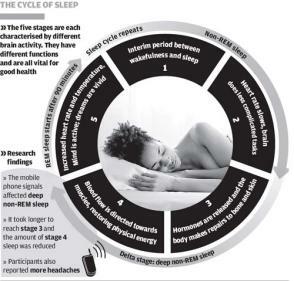 The research, sponsored by the mobile phone companies themselves, shows that using the handsets before bed causes people to take longer to reach the deeper stages of sleep and to spend less time in them, interfering with the body’s ability to repair damage suffered during the day.